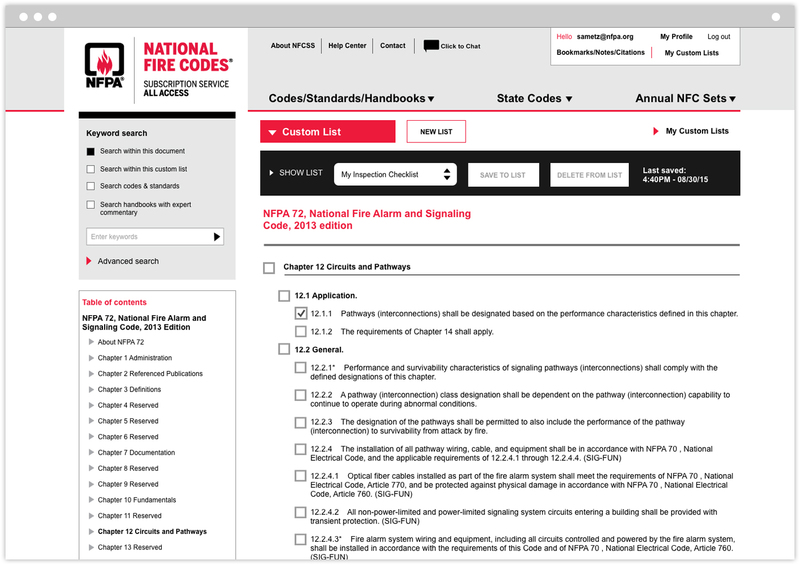 The National Fire Protection Association (NFPA) boasts more then 65,000 members around the world; conducts research, training, and education programs for a variety of constituencies; launches and manages thousands of initiatives aimed at improving public safety on multiple fronts; and—most critically—develops, publishes, and disseminates more than 300 consensus codes and standards intended to minimize the possibility and effects of fire and other risks. 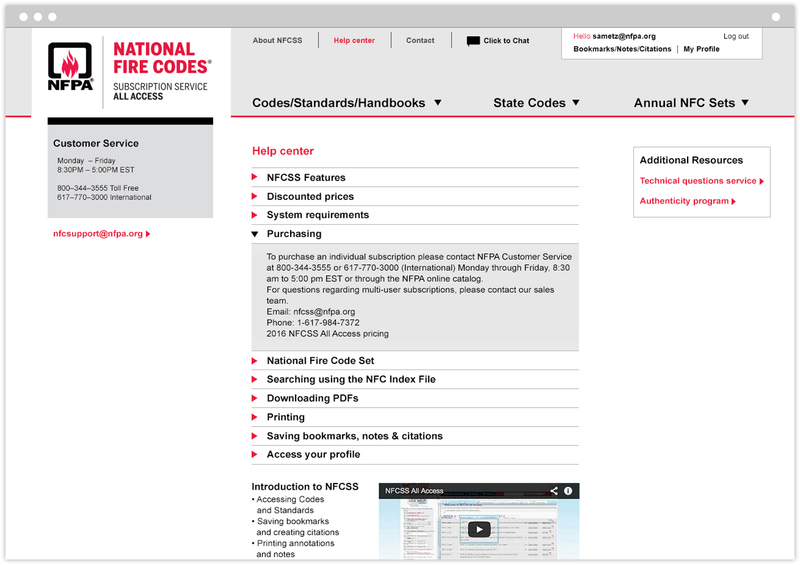 Initiated with the design of an annual report 1989, our relationship with NFPA continues to this day. 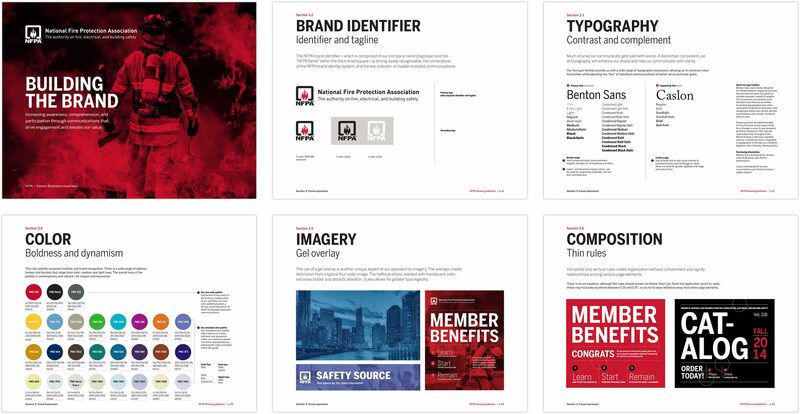 As NFPA continued to grow and evolve, we collaborated in 2013 to audit the organization’s massive array of marketing collateral in order devise a strategic brand architecture to support its many offerings and programs. 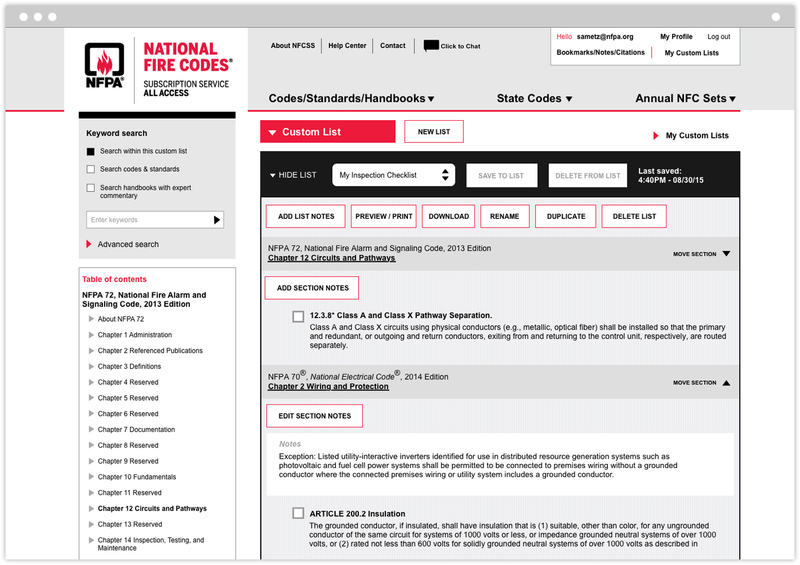 Ultimately, we created a robust and flexible visual system to increase awareness, comprehension, and participation; ensure the organization gets proper credit for all its hard work; and help the institution—collectively—more clearly communicate to its varied constituencies. 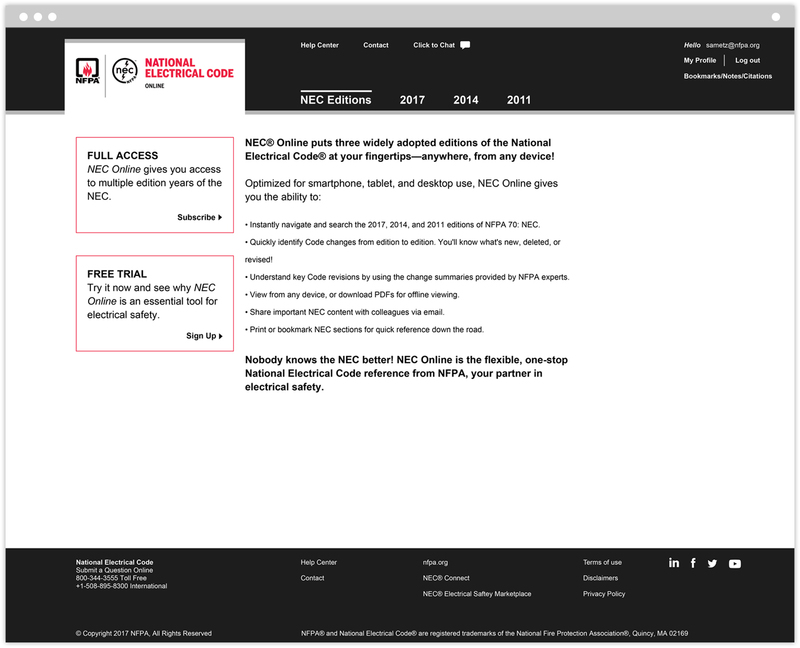 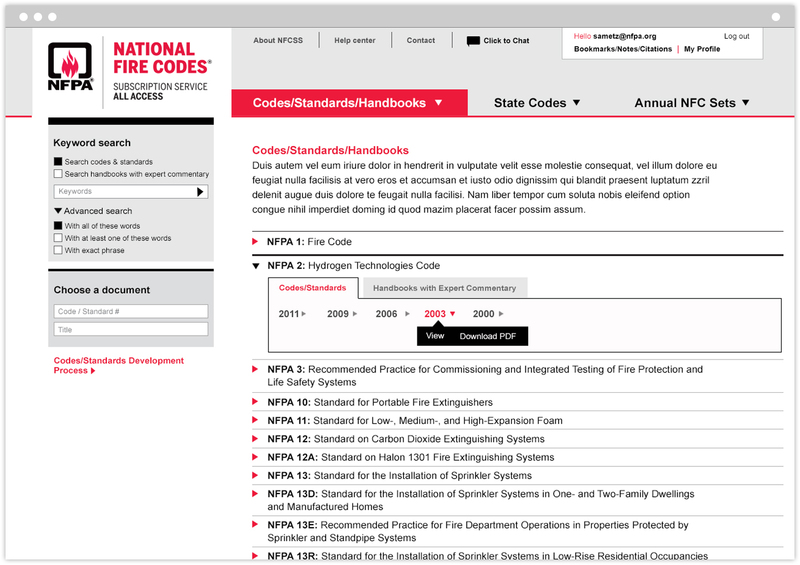 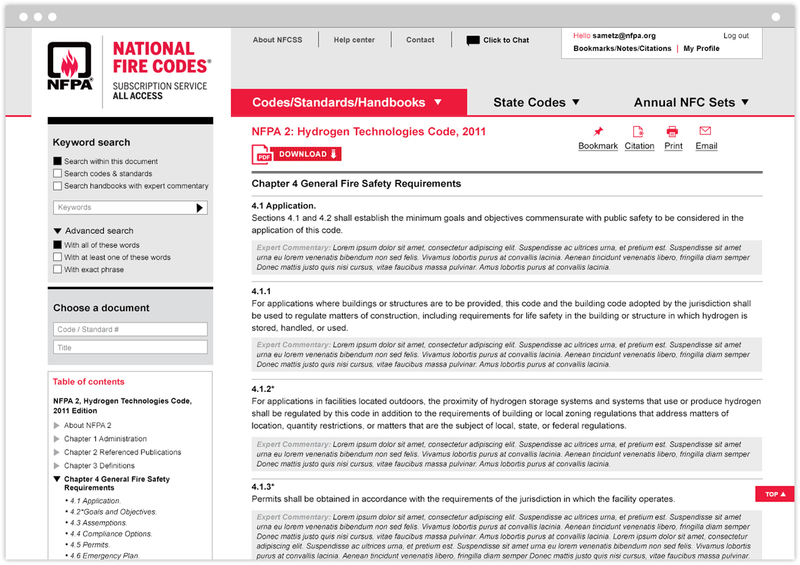 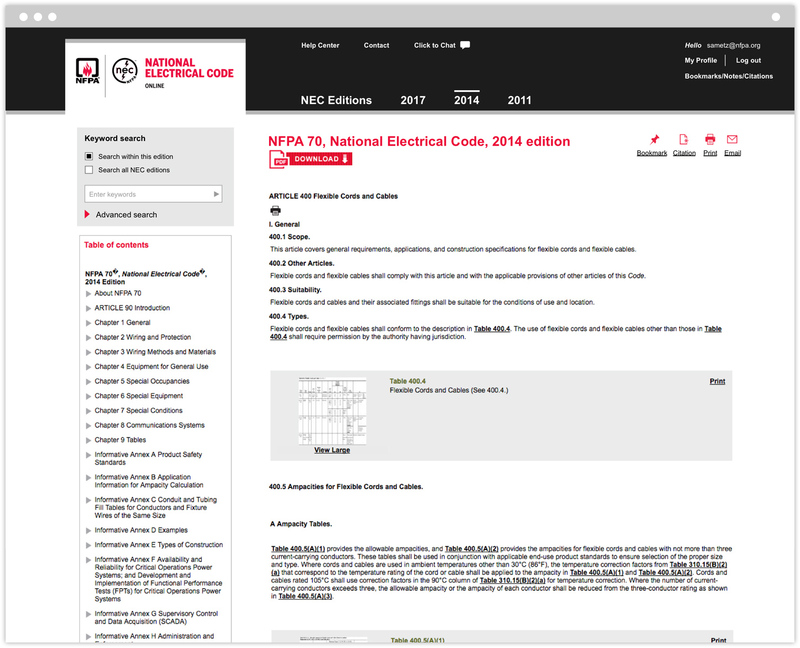 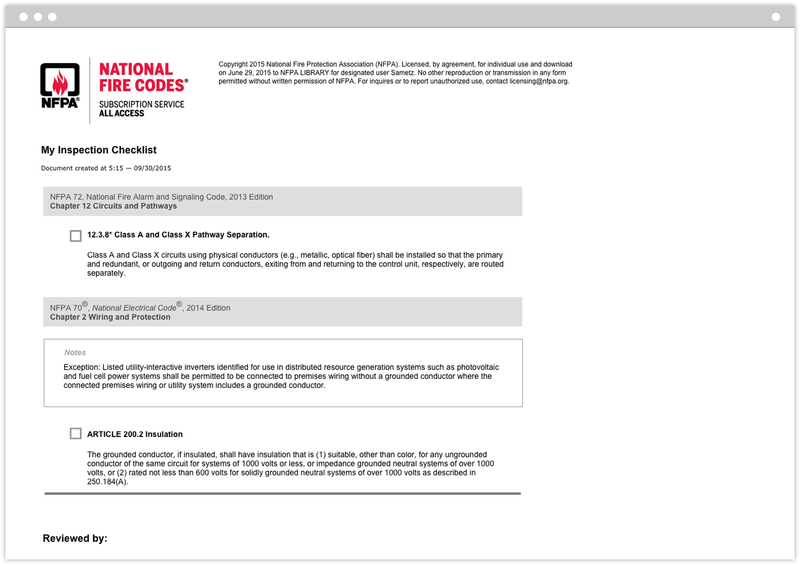 In addition to brand architecture and visual system work, we’ve collaborated on micro-sites for several key programs and initiatives, most notably the NFPA National Fire Code Subscription Service which provides online access to 300+ NFPA codes and standards, handbooks, and expert commentary. 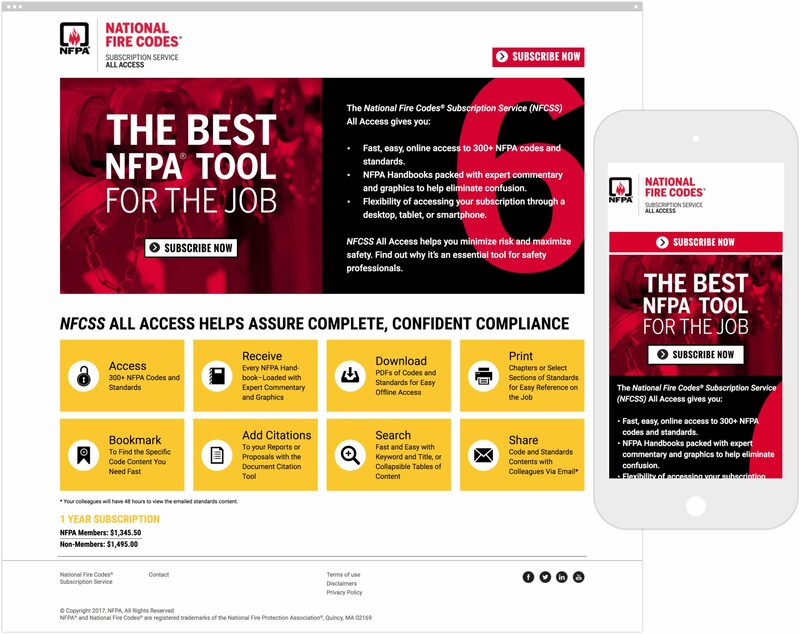 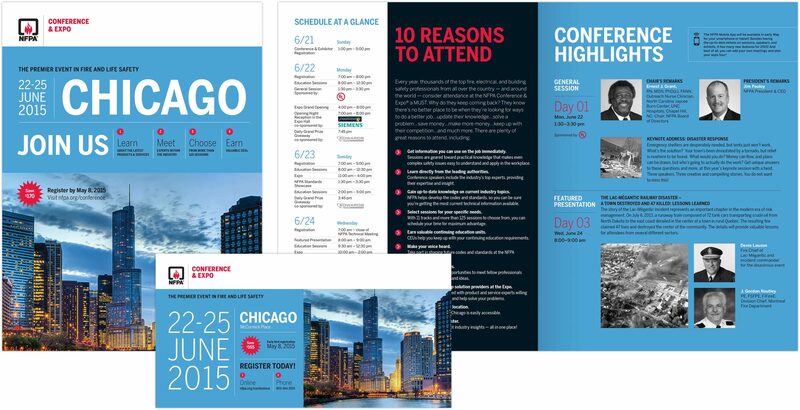 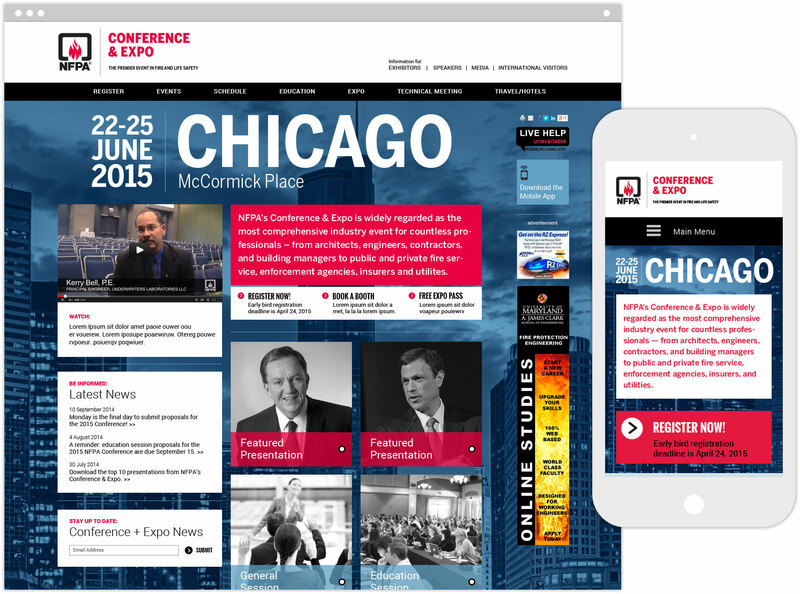 We’ve also evolved a full system of materials for NFPA’s annual Conference & Expo including a microsite, postcards, e-blasts, brochures and more. 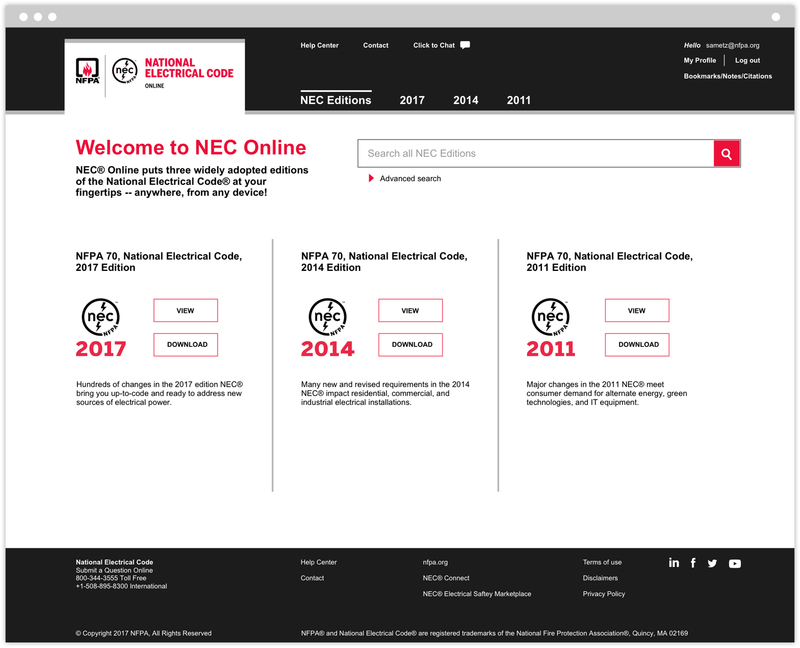 Other projects include the design of membership materials, multiple trade-show booth systems, PowerPoint templates and more as the new branding system continues to roll out across the organization.